Fortnite players always on the lookout for new weapons to use to defeat enemies will be glad to hear that a new weapon is being teased. The new weapon is Bottle Rockets that look like fireworks stuffed into a rocket launcher tube. Exactly how the weapon will work is a mystery right now. 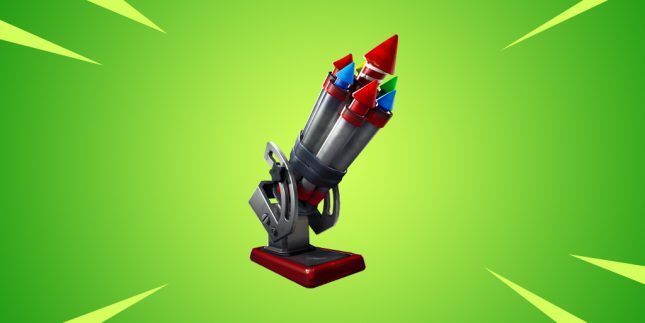 Leaks indicate that the Bottle Rockets won’t be handheld and will be a mounted weapon similar to the Mounted Turret already in the game. The description of the weapon hints that it will deal some serious damage to structures. That leads many to expect it to be mostly for defeating enemy structures rather than blasting opponents. Speculation has some expecting that the Bottle Rockets will be a mix of the defensive boombox weapon and an explosive defensive weapon. It’s not clear where that speculation comes from. The official release date is unannounced at this time reports Fortnite Intel. The assumption is with the v7.30 update, but Epic hasn’t confirmed that at this time.